One of the popular features of vacation to Bahamas is sailings with its calm seas and cooling trade winds which make sailors eager for more adventure. The islands are also the home of the Gulf Stream which makes the climate pleasant. The Gulf Stream also is the reason that there are so many large fish, and a general abundance of marine life, so people travel to the islands for a vacation just for the sport fishing. No Bahamas vacation package would be complete without the adventures of spending time either snorkeling or scuba diving. This is also because of the impact of the Gulf Stream causing excellent underwater delights. Moreover, there are spectacular shoals of fish which flock around the reef, with Bahamas having about five percent of the entire coral reef area in the world. You will never tire of this underwater technicolour fantasy world in the Bahamas. 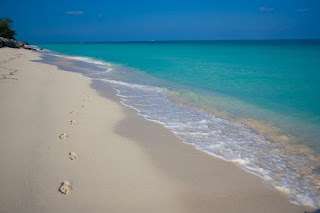 Perhaps the most important reason why visitors choose Bahamas vacation spots is because of the beauty of the beaches than anything else and no Bahamas trip would be complete without a visit to the pink sands of Eleuthera and Harbour Island. There are countless other things you can enjoy when you visit the islands. Remember the Bahamas is one of the some exciting Caribbean vacation getaway. Why not give yourself a gift by visiting the beautiful islands of the Bahamas or share this unique gift with a friend or family members. The different small islands are called "Out Island" which is a term used for islands situated from the mainland. However, there are two exceptions of New Providence Island and Freeport Grand Bahama Island. With these large numbers of islands located close to each other destination Bahamas is an ideal place for activities such as fishing sports, sailing, water skiing, scuba diving, windsurfing, snorkeling and island hopping. This makes Bahamas watersports vacation resorts ideal source of excitement. Also, the islands provide a serene and natural environment for visitors to enjoy and relax on their vacation. The individual islands offer some of the most thrilling experiences for visitors who want to travel from island to island. The different water activities are by far some of the most exciting things to do in the territory. Snorkeling is one of the main activities done in many of various islands. Some of best Bahamas vacation spots where visitors can go snorkeling are Paradise islands, Elbow Cay, Grand Bahama Island, Stocking Island San Salvador and Long Island. These islands provide fascinating experiences with their undersea caves and stunning coral reefs. There is also the opportunity for visitors to go snorkeling and swimming with pods of dolphins when the conditions are right. Hotels on these islands offer equipment for snorkeling as well as organize boat cruise for visitors to snorkel offshore and participate in the different water activity trills. Fishing is another of vacations to Bahamas top events. The Treasure Cay, New Providence Island, Grand Bahama, Green Turtle Cay, The Exumas, Abaco Inn, Bimini, Kamalame Cay and Green Turtle Club Resort and Marina allow for some of the most exciting fishing expedition in the Bahamas. These destinations have excellent activities organized around fishing as well as sailing for visitor to enjoy themselves. There are also excellent clubs which allow various island hopping expeditions. Some other activities that visitors can enjoy are visiting the Ardastra gardens, Zoo and Conservation Center which are ideal for the natural enthusiast type of vacationers. Of the many places to visit in the Bahamas the Atlantis water park is one of the most famous. The various Bahamas vacation spots with water sports attractions offer excellent excitement for all age groups with its spectacular rides and thrilling high-speed water slides.